I picked it up to read "just read a chapter," and couldn't finish 'til I turned the last page. Unfortunately, dear reader, it's not due for publication 'til next May so I might as well hold off properly reviewing it. But it pains me! Quickly, it's about a psychotherapist married to a Japanese collage artist who makes a fortune for her works. The two are incredibly wealthy and childless. 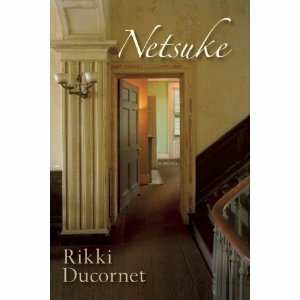 When the book starts the psychotherapist is embroiled in multiple love affairs with patients, culiminating in a shocking ending. A bit graphic for me, but brilliant. Be on the lookout for it! Thanks also for the other book you sent. The one with the title I'm forgetting, making me look like a fool. Well, like a bigger one. But it's in the pile! The book, that is. 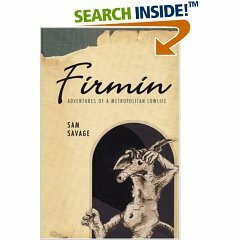 You always remember me by sending new books on a regular basis, ever since I fell in love with Sam Savage's writing and published the glowing review on Firmin you quoted in your publicity. And I appreciate that. 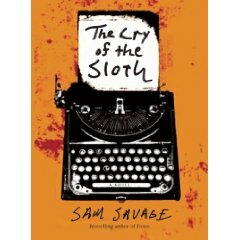 For those who haven't read Sam Savage, DO!!!!!! He's phenomenal and quirky. And brilliant. Thanks so much for the CHP love, we really appreciate it! Previous Post Let the “Best Books of 2010” lists begin! Next Post Tastes like chicken!